Profit growth of China's major industrial firms picked up in the first half (H1) of 2018, adding to bullish signs of an economy set to meet high-quality development goals. Profits at the industrial firms grew 17.2 percent in the Jan.-June period, quickening from the 16.5-percent expansion for the Jan.-May period, data from the National Bureau of Statistics (NBS) showed Friday. 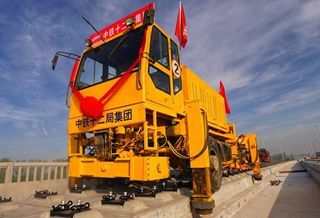 In June alone, combined profits at industrial companies with annual revenue of more than 20 million yuan (about 2.95 million U.S. dollars) went up 20 percent year on year, slightly retreating from the 21.1-percent gain in May. NBS statistician He Ping attributed the sound growth to the country's supply-side structural reforms, which helped reduce production costs and lower debt levels. In the first half year, costs per 100 yuan of revenue from the companies dropped 0.37 yuan from the same period last year to 84.42 yuan, according to He. The debt-asset ratios of major industrial firms dropped 0.4 percentage points year-on-year to 56.6 percent by the end of June. These firms also posted stronger profit earning capabilities and saw faster inventory turnover of their products. Among the 41 industries surveyed, 29 posted year-on-year profit growth during this period, with the petroleum and natural gas mining, ferrous metal metallurgy and rolling, and chemical sectors as major profit contributors. Despite mounting external uncertainties, Friday's data was the latest in a slew of economic barometers that point to resilience in China's broad economy which has won positive ratings from observers. NBS data released earlier this month showed China's GDP expanded 6.8 percent year on year in H1, up from the annual target of around 6.5 percent and within the range of 6.7 to 6.9 percent for 12 consecutive quarters. Other economic indicators, including private investment, manufacturing investment, and resident income all picked up in H1, pointing to a stable real economy and progress in structural transformation. Commenting on China's economic performance in the second quarter, chief economist of ICBC International Cheng Shi said the steady growth reflected the effectiveness of deepening supply-side structural reform. "The reform has galvanized the inherent dynamics of China's economy, which will serve as useful cushions to adverse external impact," Cheng said. "With steady improvement in economic structure and production efficiency, China is breaking new ground for economic development and laying solid foundations for high-quality development in the second half of this year," Cheng noted. The International Monetary Fund (IMF) has maintained its forecast for China's economic growth this year at 6.6 percent. "The Chinese economy continues to perform strongly," it said in a press release Wednesday. China's growth outlook remains strong and offers an opportunity to accelerate re-balancing and other reform efforts, the IMF said. "Reforms progressed in several key areas. A wide range of regulatory reforms reduced financial sector risks, overcapacity reduction progressed, anti-pollution efforts intensified and opening-up accelerated recently," the IMF noted.